Board of Intermediate and Secondary Education DG Khan holds matric class annual exams in the attached schools. 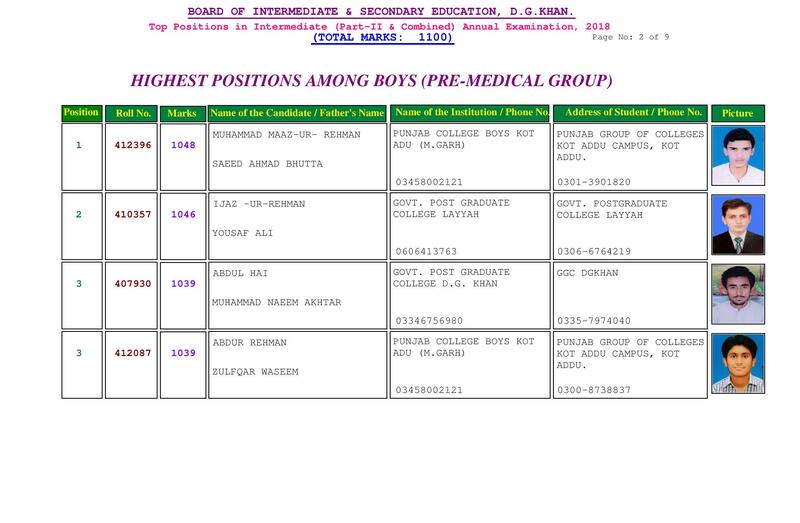 DG Khan Board matric class result is issued during the month of June as DG Khan Board completes preparation of BISE DG Khan result in three months. DG Khan Board begins checking of papers when the final papers and practical papers are ended in the last week of March. DG Khan Board has number of senior teachers in the government schools, who help the boards to check their papers and give the marks on the papers. 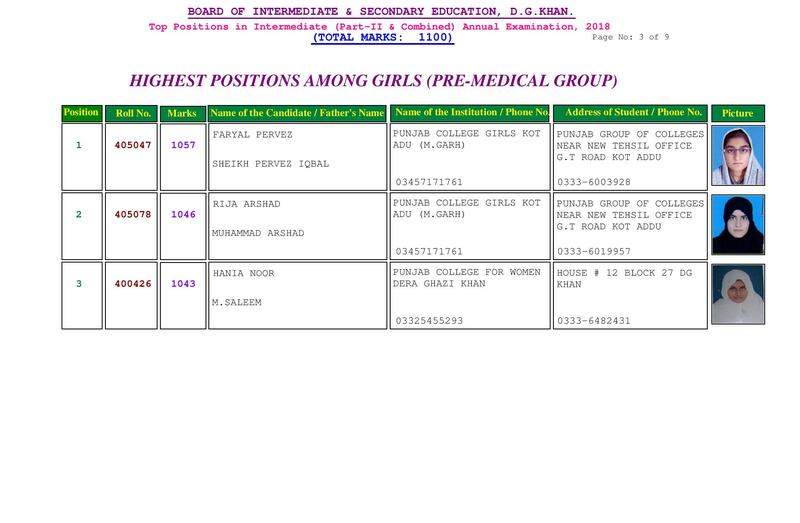 BISE DG Khan SSC-I result is made available on this page with complete information, so the students are asked to get the result of DG Khan Board and prepare annual exams result. 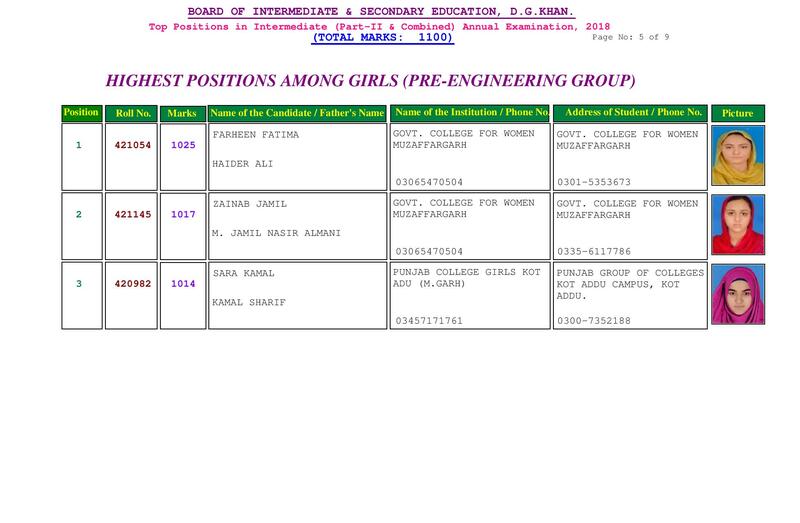 The students, who want to get the latest updates of DG Khan Board 9th class result, they can visit this page as the fresh and latest updates of their result are provided on this page.